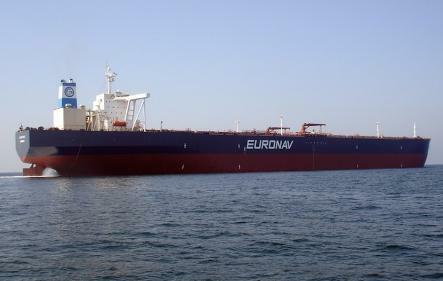 Belgian tanker shipping company Euronav Tankers NV has acquired the ultra large crude carrier (ULCC) Seaways Laura Lynn from Oceania Tanker Corporation, a subsidiary of International Seaways. The ship is the second of the two ULCCs that exist in the global fleet and has been renamed Oceania and registered under the Belgian flag. The 2003-built Seaways Laura Lynn, which features a massive 441,561 dwt capacity, cost Euronav USD 32.5 million. The company already owns the other ULCC, the 442,470 dwt TI Europe, built in 2002. “Bringing the only other ULCC in the world fleet under our control will provide us with a significant strategic opportunity,” Paddy Rodgers, CEO of Euronav, said. The company has just completed the merger with US-based crude oil shipping company Gener8 Maritime, as disclosed at the beginning of this month. The merger creates a crude tanker operator giant with 76 operating crude tankers, consisting of 43 VLCCs, 27 Suezmaxes, 2 ULCCs, two Panamax tankers and two FSOs under joint venture.